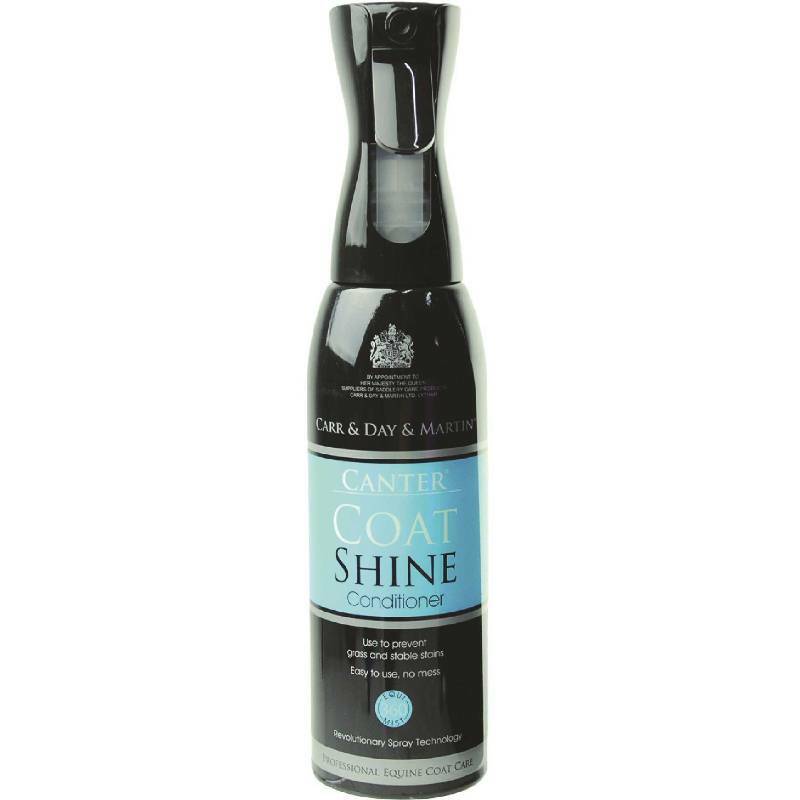 Canter Coat Shine from Carr Day Martin in the new 600ml 360 equi mist applicator. This conditioner gives a sleek, natural, long lasting sheen, without making the coat greasy. Helps prevent grass stains, soiling of the coat and rugs from rubbing. Can be applied to a wet or dry coat. Apply to clean coat by spraying evenly over the coat. Then wipe over with a clean cloth or brush to achieve an even finish.